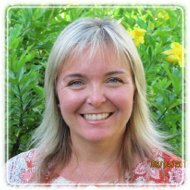 St. Petersburg Therapist: Kathleen Rodriquez - Therapist 33710. Not receiving new clients at this time. Kathleen has a passion for families; especially the relationship between children and parents. She believes attachment, boundaries, character, self-worth and the dynamics in future relationships all begin at home. Being married almost 25 years and having four children, two in college, one middle school and one in elementary school, she understands the stressors in a busy family and how the family system can become unbalanced easily, at times. As a Christian she believes a person's faith is significant in the healing process. Kathleen served 10 years in the US Army and understands the dynamics of military families and effects on spouses and children. Kathleen will create Plans of Care for the problems that brought you to counseling. Through being Honest, Open, Purposeful and Engaging she will help you discover who you are internally. Those internal drives usually dictate those external decisions. You will also develop coping skills to address anger, anxiety, depression and/or poor self-esteem. Kathleen also wants to help parents who have difficulty rearing their children/teens. She will teach how to implement boundaries and other skills to strengthen the relationship and decrease chaos in the family unit. She works with all families, including blended families, single parents and co-parents. Kathleen knows how difficult it is to face grief. With Hope, she will take every step with you (whether adult, teen or child) to get to the place of being ok today. One thing that will constantly be clear is that hope for tomorrow begins today.